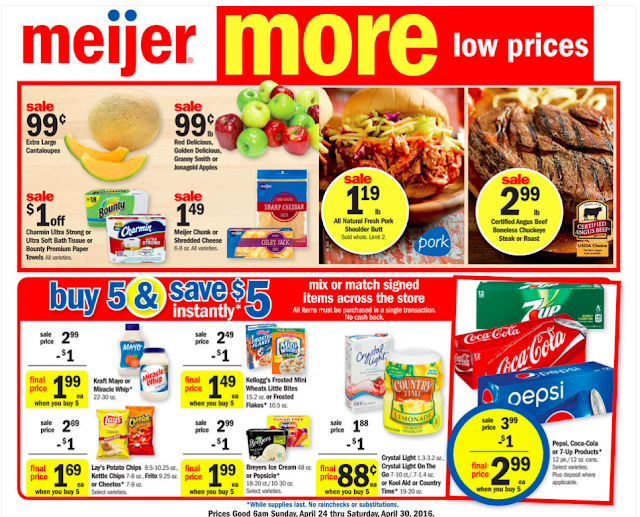 Meijer: Next Week's Ad is live! Buy 5, save $5 and more! Sunday - Saturday market from 4/24-4/30, Thursday - Wednesday market 4/28-5/4. What are you most excited for?? ?